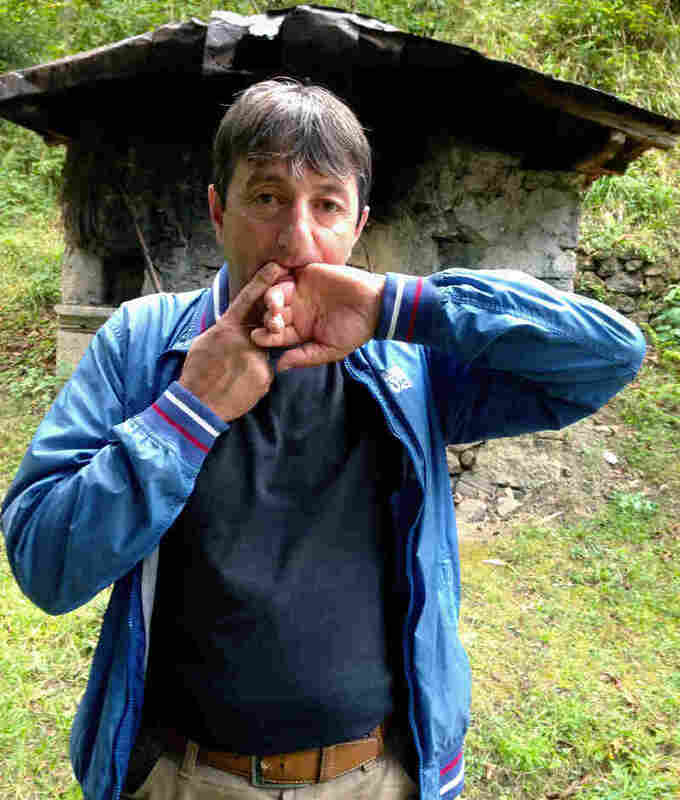 In A Turkish Village, A Conversation With Whistles, Not Words : Parallels High above the Black Sea, villagers communicate across deep valleys using a whistled language. Elders are working to keep alive this tradition, which could have implications for brain science. 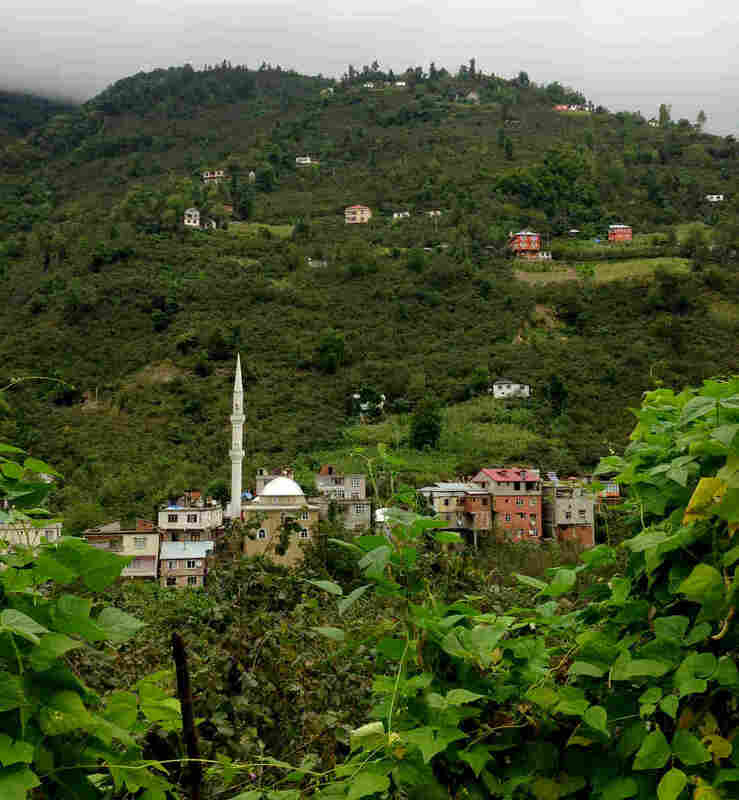 Steep hills surround the village of Kuskoy, high in the mountains above Turkey's Black Sea coast. Some villagers here can still understand the old "bird language," a form of whistled Turkish used to communicate across these deep valleys. In a remote mountain village high above Turkey's Black Sea coast, there are villagers who still communicate across valleys by whistling. Not just whistling as in a non-verbal, "Hey, you!" But actually using what they call their "bird language," Turkish words expressed as a series of piercing whistles. The village is Kuskoy, and it's inhabited by farmers who raise tea, corn, beets and other crops, and also keep livestock. The landscape is unusual by Turkish standards, and the residents are also considered a bit eccentric by other Turks. Everyone we met in Kuskoy was warm, welcoming and very generous. But when our meeting with Nazmiye Cakir, 60, was interrupted by an eruption of gunfire from across the valley, our hosts smiled reassuringly and paused, as if waiting for more. Sure enough, a few seconds later came an even louder volley – a response from our side of the mountain. Once that bit of nonverbal communication died down, Cakir explained how she learned to whistle Turkish. She says her grandparents often took care of her when she was young, and they passed it on. "You might need to ask one of your neighbors, 'Can you help me harvest the corn tomorrow?' Or something like that," she says. "Or, if there's a funeral, the family would whistle the news throughout the valley." A cheerful, talkative woman, Cakir also explains what you can't talk about when you're whistling. "The only thing you never whistle is your love talk," she says, laughing. "Because you'll get caught!" After Cakir demonstrates her whistling chops with some complex phrases, two other villagers devise a test to show that this isn't some kind of prearranged code, but an actual language. One villager is given a phone number from Istanbul that neither man has seen before. He whistles it to the second man, Halil Cindik, the head of the Kuskoy Bird Language Association. Cindik dials the number that's been whistled to him, and it's right. "I was absolutely, utterly fascinated when I first heard about it," he says. "And I directly saw the relevance of this language for science." Gunturkun has been working on brain asymmetry research, which holds among other things, that spoken language is mainly processed by the left hemisphere of the brain, and music by the right. There is some overlap – when it comes to recognizing tones of voice, for instance - but basically they're seen as separate. So how does the brain process a language in which syllables are rendered as whistled tones instead of spoken words? 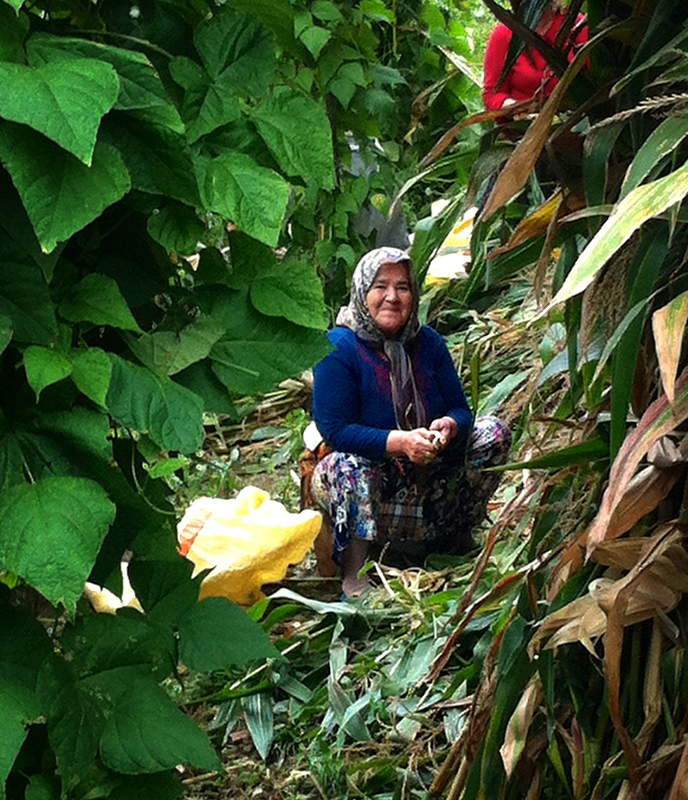 Nazmiye Cakir, a 60-year-old "bird whistler," learned the whistled language from her grandparents, and still uses it. "The one thing you don't whistle about is your love talk," she says with a laugh, "because you'll get caught!" Gunturkun went to Kuskoy to do a field test. It involved testing villagers using headphones and recorded Turkish, both spoken syllables and their whistled equivalents. With the spoken syllables, the villagers responded much as other subjects have in similar tests: if you play two different syllables, one in the left ear and one in the right, people tend to hear only the one played to the right ear, which is controlled by the left hemisphere of the brain. But Gunturkun found that when he played whistled syllables, the villagers tended to hear both of them, suggesting that they were using both hemispheres of their brain to a much greater extent. "So in the end, there was a balanced contribution of both hemispheres," says Gunturkun. "So indeed, depending on the way we speak, the hemispheres have a different share of work in language processing." It's not clear if Gunturkun's work will lead to real-life applications, but he wonders if a whistled language might be helpful to, say, a stroke victim with left hemisphere damage who has difficulty processing spoken language. The spread of cellphones has reduced the need for whistling, but villagers stage a festival each summer to try to keep it alive. And as some rather sheepishly admit, it still comes in handy - to warn their gun-toting neighbors when the police are on patrol.